What is perfection? You may say that being faultless is perfection. Well, I doubt it. Perfection is an illusion. Nobody is perfect in the world. Yes, you can be an expert or you strive to be faultless. But, you just cannot be perfect. The truth is, imperfection is the only perfection. Is it bad to be imperfect? No, it’s not bad at all. In fact, it’s an opportunity for working on your flaws and improvising at every stage. 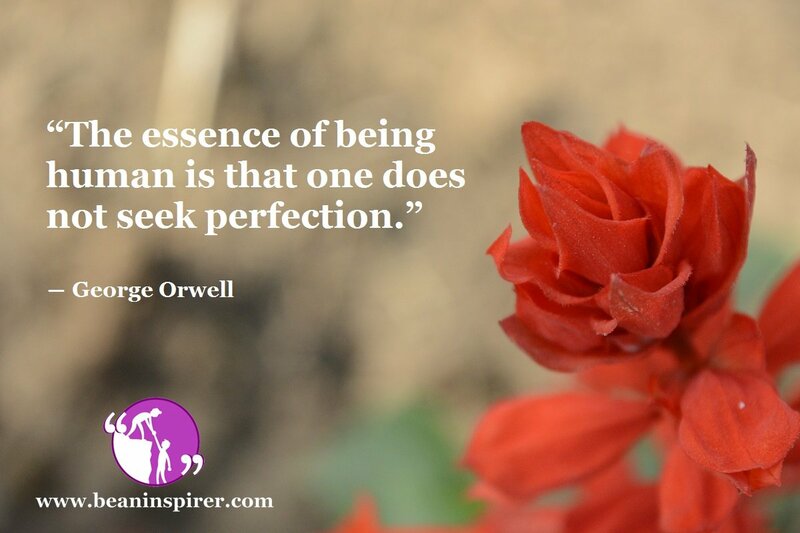 How can you master the art of imperfection? Let’s discuss it here. First of all, set aside your ego. Your ego tells you that you are perfect. It’s hard to accept the fact that you have any imperfections. Your mind and heart disseminate these thoughts. When you are at work or in a social circle, you are hesitant about accepting your flaws and try to cover them up. You highlight your strengths but you do not want to face your flaws. The result is, your flaws become prominent and dominating. Gradually, it will affect your life. The more you try to run away, the more it affects you. The best way to deal with your flaws is to accept them. Embrace them and it will not bother you. How is that possible? It’s possible because when your mind and heart accepts the fact you lack a particular trait, you become friends with it. You do not fear it and hence, it will not bother you. You become insensitive to the fear of rejection or insult. When you achieve this state, your improvisation starts. Don’t run after perfection, embrace your imperfection. Somewhere, I read some beautiful lines. It said that wear your weakness as armor and it will never hurt you. I would like to share my practical experience with you. Being a person who stammers, I always avoided speaking to someone. I even hesitated when speaking to my parents. It seriously made my life disgusting. I was tagged as an unsocial person. This was because I was running from my fear of speech. I thought about other person’s reactions. Whenever I spoke, I focused on my speech rather than content. One day, I met my guru. He asked me to stop running. Do you want to run all your life? When you’ll be old and sick, you will realize the importance of precious life. Either you can repent later or enjoy right now. He asked to confront some patients in the OPD department of a hospital. I went to the podium and declared publicly that I stammer! Was that effective? Well, it had been two years and recently, I delivered a speech to an audience of 2000 people. So yes, it helped. The crux of the statement is, when you don’t fear your imperfection, it will become your strength. Learning is an everlasting process. There is nothing bad about accepting your flaws and learn the ways to improvise. Well, this is an opportunity for you to progress. You should know that you can convert your imperfection into your capability. You just have to be passionate about it. Enjoy the journey and don’t relent about the past, you will learn a lot. This applies to physical appearance as well. Most of us, judge a person on physical characteristics. But remember, physical attributes are temporary. The only thing that lasts is our inner spirit. The beauty of our thoughts is more important than the beauty of our eyes. It is possible that a handsome man is not good at heart. So, you must realize that perfection is an illusion. Rather than living in illusion, face the reality and work on your weakness. This will take you towards perfection.